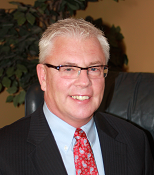 Executive Director - R. Larry Taylor, Ed.D. Dr. Larry Taylor received a Doctorate in Education Degree from the University Louisville in the area of Educational Leadership and Organizational Development. Larry worked 23 years in local school districts serving in the role of teacher of exceptional children, school counselor, instructional supervisor, director of special education and assistant superintendent of personnel, curriculum and instruction. In 2005, He was appointed as the State Director of Exceptional Children Services for the Kentucky Department of Education. While at KDE, he served in the role of Interim Associate Commissioner for the Office of Special Instruction Services and Director in the Division of Learning Services. July 2011, Larry accepted the position of Director of Special Education Cooperative for the Ohio Valley Special Education Cooperative and Consultant for the Center for Learning Excellence at the University of Louisville. August of 2015, Larry was appointed as the Executive Director of the Kentucky Autism Training Center. Program Coordinator - Michelle Bush, M.A.E. Michelle Bush, is a two time graduate of Western Kentucky University (WKU). She currently holds a Bachelor of Science degree in Healthcare Administration and a Master of Arts degree in Student Affairs in Higher Education. Michelle has six years of experience in the healthcare industry where she worked as the office coordinator for a general surgeon's office, hospital, and insurance company. Her Higher Education work experience started in the Department of Psychology at WKU in 2012and most recently for the Special Education Department at the University of Louisville, for past three years. In both roles, she provided support to department faculty, students and staff as well as served on several college committees. At KATC, Michelle creates and monitors the center’s website and web-based systems, coordinates webinar training programs, Professional Development and Regional workshops, develops marketing initiatives and serves as KATC's main contact for communication (social media, listserv, emails, etc.). Michelle enjoys spending time with her family, going on long walks and being creative with her Cricut craft machine. She resides in Louisville with her husband Anthony, her daughter Ammerie, and fur baby, Max. Family Field Training Coordinator - Heidi Cooley-Cook, M.Ed. Heidi Cooley-Cook graduated from The Metropolitan State College of Denver with a Bachelor’s degree in Psychology. While in Colorado, Heidi worked with adults with intellectual and developmental disabilities. Upon returning to Kentucky, she continued working with adults with disabilities and children with autism. Her work with autistic individuals quickly developed into a passion and led Heidi to work as an in-home behavior interventionist for several families and their children with autism. Heidi brings over 15 years of experience working with individuals with disabilities and their families in various capacities including direct support, job coach, case manager, behavior interventionist, and advocate. While at the KATC, Heidi earned a Master’s Degree in Education in Counseling Psychology from the University of Louisville. In her current role at the KATC, Heidi provides direct training and technical assistance to families and other agencies. Current initiatives include training the Commonwealth’s first responders - Autism and First Responders, promotion of the Yellow Dot Program, and supporting arts groups and others in providing Sensory Friendly accommodations. Family Field Training Coordinator - Mike R. Miller, M.Ed. Mike was employed at the Kentucky Department of Education and served in numerous roles of programs for students with disabilities. November 2014, Mike joined Kentucky Autism Training Center, University of Louisville, College of Education and Human Development. Mike’s work at the center includes working with professionals, parents, local school districts, and university students. He also works closely with the University of Louisville Autism Center navigating systems for families. 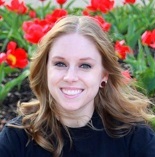 Field Training Coordinator - Sarah Bays, M.Ed. Sarah Bays graduated from the University of Louisville with a Bachelor of Science degree in Early Elementary Education with a concentration in Learning & Behavior Disorders (P-12). Upon graduation, she worked part-time for the University of Louisville as a coder for the First Steps and Academic and Behavioral Response to Intervention grants. Sarah began her teaching career as a teacher for Henry County Public Schools. She taught at Henry County High School and Campbellsburg Elementary School, providing services for students with Autism as well as students with learning and/or behavioral disabilities in resource and co-taught settings. While teaching, Sarah received a Master’s Degree in Education from the University of Louisville with a graduate certificate in Autism and Applied Behavior Analysis. 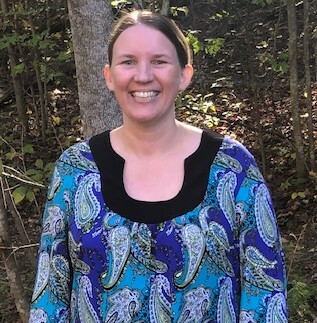 She currently works at the Kentucky Autism Training Center as a Field Training Coordinator to provide training and technical assistance to local school districts and other community agencies. Field Training Coordinator - Kimberly Howard, M.Ed. Field Training Coordinator - Michelle Antle, Ed.S. Michelle Antle completed her undergraduate degree at Kentucky Wesleyan College in Owensboro, Kentucky. While at Kentucky Wesleyan, Michelle discovered her passion for working with children on the autism spectrum. She pursued training in Applied Behavior Analysis and became a home provider for The Childhood Learning Center. Michelle then moved south to attend graduate school at Western Kentucky University where she completed her Ed.S. degree in the field of school psychology. She worked in the mental health field for years and shared her knowledge and experience to help improve the level of care for families and children on the autism spectrum. Michelle just finished a two year presidential term for the Kentucky Association for Psychology in the Schools (KAPS). She takes an active role in promoting the importance of the mental health of our youth, and also has interests in the areas of crisis response in schools, threat assessments, and overall school safety. Michelle emphasizes the importance of communication and partnerships and is actively involved in her community. In 2011, Michelle was recognized for her hard work and dedication and was named Kentucky School Psychologist of the Year. She went on to represent the state of Kentucky at the national level. Michelle Antle currently works as a Field Training Coordinator for the Kentucky Autism Training Center. She is also a school psychologist and has worked in the public school setting for the last 16 years. Michelle is married to her husband, Jason, and they have two children, Alivia and Houston. Michelle enjoys spending time with her family and traveling.